← Cover Reveal for Pride and Proposals! I have never thought about Mrs. Bennet’s reaction to Mr. Darcy like this. You have a very interesting point of view on this. What you are saying definitely has merit, and I will consider it next time I watch P&P. 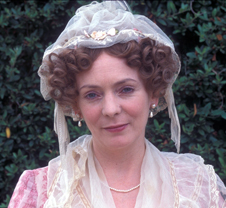 I think people also overlook (or don’t realize) that Mrs. Bennett “quit her sphere” in marrying Mr. Bennet, someone of a higher social rank. I think there are many aspects to her behavior that can be attributed to repercussions of that. Hi Jennie, Thanks for your comment! Yes, I think that Mrs. B. quitting her sphere does have a big impact on her behavior. 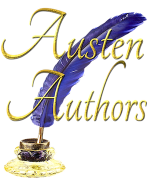 One of the things I love about Austen is how rich her characters are–you can understand them in so many different ways. Not all characters can sustain that kind of analysis.